As you may have known from Monday's Thoughts 9/12 post, there was a reason I was a little distant from being Redhura the past couple weeks. Unfortunately the wifi was not in my favor for 10 days so my posts about my trip are a little late. First things first, the capital of Ecuador, Quito. A city with tons of culture, adventure, and great shopping. See my 24 hour itinerary below of what you should do in Quito. Also since I was there for more than 24 hours, I'll be writing a part 2 of another 24 hours. Don't forget to let me know what you think! Also known as "Ciudad Mitad del Mundo." Only a 20-30 minute cab ride from the city center, and the ride shouldn't be more than $15. 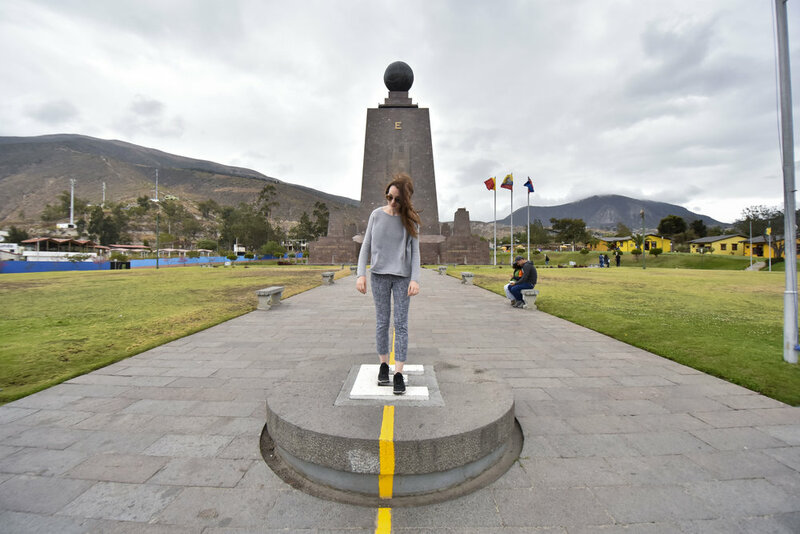 The equator line means that you're standing at 0.0 Longitude, and 0.0 Latitude...aka you're at the center of the earth. Take the biggest challenge and try to balance an egg on a nail in order to see the Coriolis Effect of gravity (essentially testing the effects of the center of the earth and the pull of gravity)! 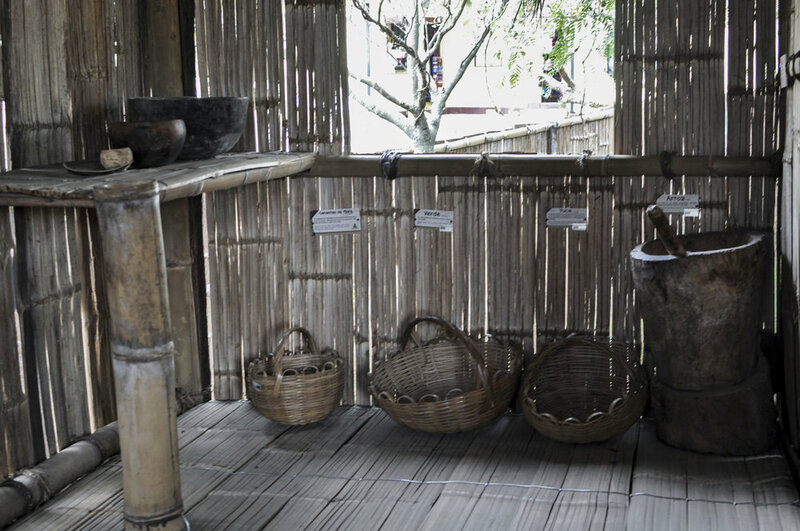 You'll also find re-creations of how natives lived (and some still live this way) in different parts of the country. There are also many options for lunch on site, so take your pick. All the restaurants serve similar meals. Outside the equator line area you’ll find a line of taxi’s. Take one to Quito Plaza Grande. 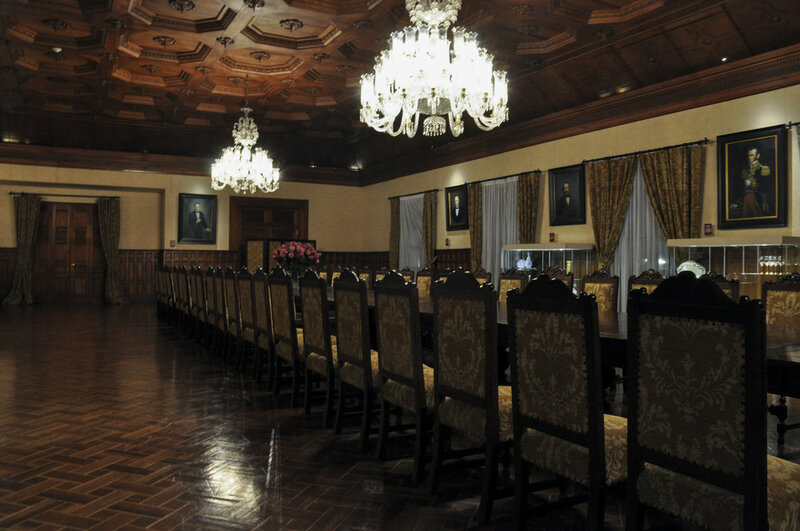 There you’ll find shopping, food, Basilica Del Voto Nacional, and even the Palacio de Gobierno (aka president’s house). I highly suggest going to the President's house first as you need to sign up for a tour time. When looking directly at the main white house in the center, walk toward the left and you’ll find a little white booth. Ask the man/woman for the next available tour time. Note: If you do not arrive on time, they will not allow you to enter. You’ll give the tour guide your passports and you'll get them back at the end of the tour. The tour is offered in English or Spanish. After or before your tour of the President's house take a short walk toward the Basilica. Not hard to miss and it's only $2 for entry. You can walk through the church, climb to the top, and you’ll see a whole view of Quito. If you are spending time in Quito either Thursday, Friday, or Saturday head to La Ronda for a great evening of music, food, and dance performances. Go to any of the restaurants as they will have great meal options, and drinks. A traditional dance performance, you’ll better understand Ecuadorian culture, and life. During the middle of the performance the dancers make everyone join in to dance, which was shared by lots of laughs and my two left feet. If you are staying a night in Quito, I definitely recommend this hotel. For $35-45 dollars for a room you get free wifi, tv, and breakfast (also includes the other essentials inside the room i.e. TV, bed, towels, etc). So there you have it, 24 hours in Quito. Have you been before? Comment below!